Ovarian torsion is an infrequent, but important, cause of acute abdomino-pelvic pain in women. Ovarian torsion occurs far more commonly during pregnancy than in the non-pregnant state. Torsion of a ‘normal’ ovary is a rare event, mostly occurring in childhood.1 The typical presentation is a unilateral torsion of a pathologically enlarged ovary. 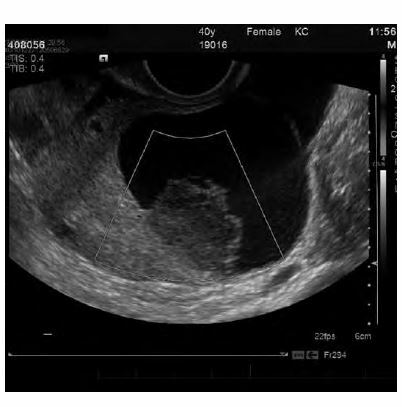 Ovarian masses: in over half of cases of ovarian torsion an underlying ovarian tumour is present. Malignant tumours are less likely to undergo torsion due to the presence of cancerous adhesions that fix the ovary to the surrounding structures. Thus, tumours that have undergone torsion are most likely to be benign, with dermoid tumours the most commonly implicated. Pregnancy: enlarged corpus luteum cysts and the laxity of supporting structures in pregnancy predisposes to torsion. The rate of torsion increases by five times during pregnancy. The corpus luteum regresses in the second trimester, hence the risk of torsion is greatest in the first trimester and decreases thereafter. Assisted conception: the induction of ovulation during infertility tratment can lead to theca lutein cysts and expansion of the ovarian volume predisposing to torsion. Previous pelvic surgery: previous pelvic surgery, especially tubal ligation, can have an increased risk of torsion, although the mechanism for this remains unclear. Transvaginal pelvic ultrasound images of a 40 yo patient with classic onset of severe left iliac fossa pain. Absence of arterial and venous flow on colour doppler imaging, in an enlarged ovarian mass, the lead point for the torsion. The histopathology confirmed a torted ovary containing a benign simple cyst with marked oedema of the residual ovarian stroma. Adjacent free fluid was present in this case. The typical clinical history in ovarian torsion is of the sudden onset of severe, unilateral, lower abdominal pain that worsens intermittently. About a quarter of patients report bilateral lower quadrant pain. Nausea and vomiting are seen in about 70 per cent of cases. Necrosis of the ovary may lead to late findings of pyrexia, tachycardia and hypotension. Ovarian torsion is primarily a clinical diagnosis based on a thorough history and meticulous examination. Maintaining a high index of suspicion is important. BetaHCG should be performed to diagnose a concomitant pregnancy. Full blood count: an elevated white cell count is a nonspecific finding and is rarely of value. Haemorrhage may result in anaemia. Electrolyte imbalances may be seen in severe cases where there has been persistent vomiting. Colour Doppler in ultrasound is commonly used, but may not be diagnostic of torsion, depending on the degree of torsion and the sometimes subacute nature of the pathology. The presence of blood flow shows that the ovary may be still viable, but does not rule out ovarian torsion. Greyscale assessment of the ovary combined with Doppler imaging may enhance the diagnostic accuracy. Colour Doppler imaging often shows an enlarged ovary with absent parenchymal perfusion.2 CT and MRI modalities have limited use in the diagnosis of torsion. They may demonstrate an adnexal mass or enlarged ovary, but provide no information on the blood flow to the involved ovary. However, they may be more helpful in ruling out other differentials of pelvic pain in case of diagnostic uncertainty and in the presence of pelvic mass. The main principle of treatment is timely surgical intervention to preserve ovarian function. Initial management involves stabilising the patient and ruling out other causes of acute abdomino-pelvic pain (such as ectopic pregnancy, pelvic inflammatory disease, pyelonephritis, appendicitis, endometriosis and, rarely, degenerating leiomyomata). A swift surgical evaluation is required in most of the cases presenting as acute abdomen. Salpingo-oophorectomy may be performed if tissue necrosis, severe vascular compromise or peritonitis is obvious. Oophorectomy is not required in all cases, particularly when laparoscopic assessment is performed early. This approach has the potential to uncoil the torted ovary and anchor it with a possible oophoropexy. Some authors have suggested oophoropexy on the contralateral side might be considered in young patients needing oophorectomy for an ovarian torsion. Intra-operative assessment of the ovary in question is crucial in determining its potential viability. The determination of whether an acutely torted ovary is viable can be difficult. With the appropriate equipment, it is possible to use intravenous fluoresceine and to view the ovary with an ultraviolet light source. However, this is not possible with laparoscopy and remains a technique applicable only to open surgery. Early conservative management is preferred with the ‘success’ rate of ovarian preservation of 88 per cent reported by multiple studies.1,2 Management of torsion in pregnancy is similar to non-pregnant women, but often technically more difficult due to the mass effect of the gravid uterus. Ovarian torsion is primarily a clinical diagnosis. The classical presentation is with acute pelvic pain associated with an adnexal mass. The combination of Doppler flow imaging and morphologic ultrasound assessment of the torted mass may improve the diagnostic accuracy. However, presence of blood flow to an ovary does not rule out torsion. Timely laparoscopic evaluation with the aim of preservation of ovarian function is the cornerstone of treatment. Conservative management is favoured early in the course of disease and consists of laparoscopy with uncoiling of the torted ovary and possible oophoropexy. Oophorectomy is obviously required in cases with ovarian tissue necrosis. Growdon W B, Laufer M R. Ovarian and Fallopian Tube Torsion. Available from: http://www.uptodate.com/contents/ovarian-and-fallopian-tube-torsion . Schraga E D, Blanda M. Ovarian Torsion 2010 Feb. 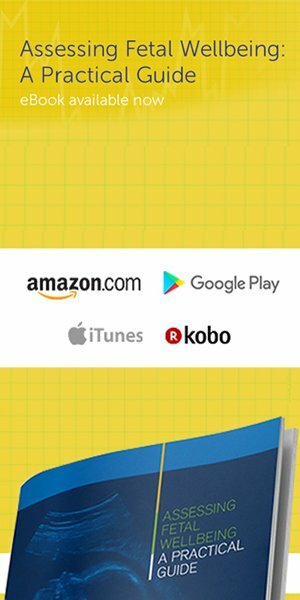 Available from: http://emedicine.medscape.com/article/795994-overview . 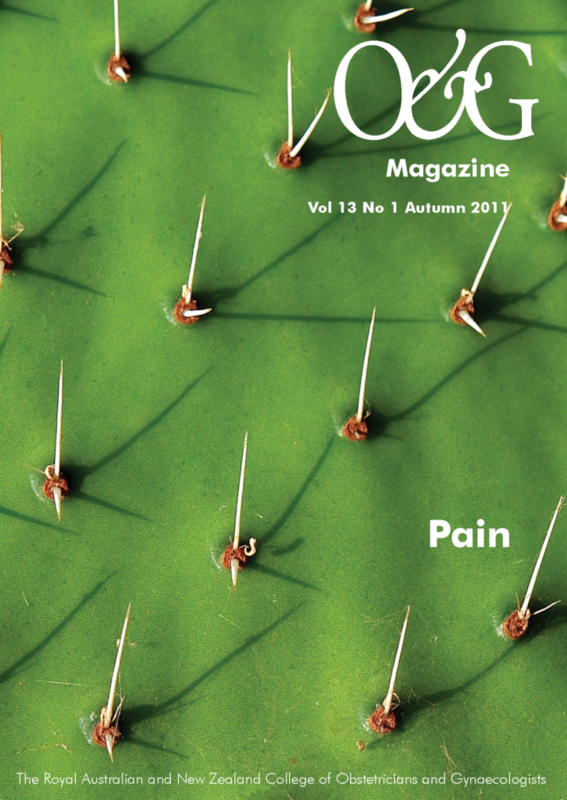 Lev-Toaff A S. Acute Pelvic Pain: What we have learned from the ER, 2010 Mar; 154. 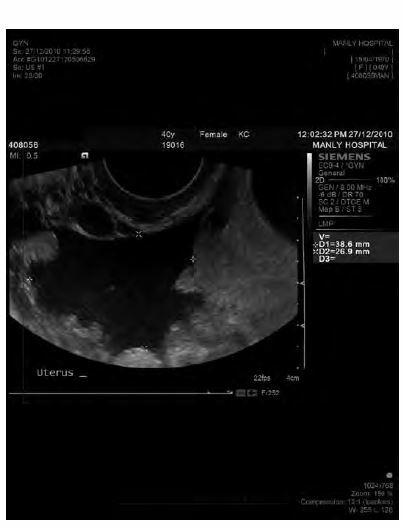 Scoutt L M. Sonographic Evaluation of Ovarian Torsion, 2009 Oct; 133. Heer J, Bowker D, Ferguson G. The Western Journal of Emergency Medicine 2005 Jul- Sep; VI:3; 52. White M, Stella J. Ovarian torsion: 10-year perspective Emergency Medicine Australasia 2005 Oct; 17(3): 231-237.